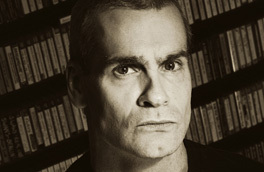 Henry Rollins’ 12.4 broadcast of Harmony In My Head coincidentally fell on the 17th anniversary of Frank Zappa’s passing. Paying tribute, Rollins dedicated more than an hour and a half to Zappa and closed out his show with some songs by St. Vitus. Their drummer, Armando Acosta, passed away on Thanksgiving. Overall, not the most upbeat reasoning behind the set lists, but it’s a worthwhile two hours. Listen here, or download here. Henry’s broadcast notes are below. Fanatics! I am back from Africa. I got off the plane a few hours ago. The first flight from Entebbe, Uganda to Dubai, UAE, via Addis Ababa, Ethiopia was about five hours and the one from Dubai to LA was fifteen and change. I have been here at the office, trying to stay awake so I could finish our show for tonight. Thanks to Thom Storr at Rykodisc for supplying some much needed ingredients. If you notice, Fanatics, tonight is a bit of a concept show. It’s all Zappa, all night. 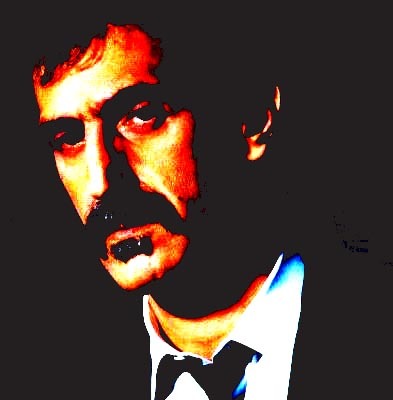 We take this Saturday’s broadcast to do this because on 12-04-93, Frank Zappa passed away. I know, it’s not the happiest occasion to celebrate the man, his music and his considerable intellect but I wanted to do it, so here we are. This is by no means comprehensive and there’s a lot eras of Frank that I am leaving out and also, I am not tremendously conversant in all things Zappa but I like all the albums I have. I am sure many of you remember besides how amazing Zappa and his band mates were, how intellectually intense Frank Zappa was. He was mentally agile, his wit was lightning fast and he didn’t pull punches. There are many sites with his quotes and interviews. Some of the things he said twenty years ago or more sound like they were said last week. Zappa was a very prolific artist and worked nonstop until he died. He left a lot of music behind. I have heard quite a bit of it but have not heard it all and still have quite a ways to go but I am digging the ride thus far. You Fanatics know that we listen to FZ now and then on our show but tonight, we pile it on. I tried to keep it varied. It’s really not in any kind of order, just what I thought sounded cool. I am looking forward to doing the live show at the Echoplex this coming Thursday. I didn’t know the thing was going to sell out so quickly. For those of you who didn’t get a chance to get a ticket, hopefully we can do it again some time. I am very tired and am typing poorly. I will send this in, get it posted and try to get evened out for the show. Looking forward to being live on the radio with you all. 01. Hungry Freaks, Daddy / Freak Out!